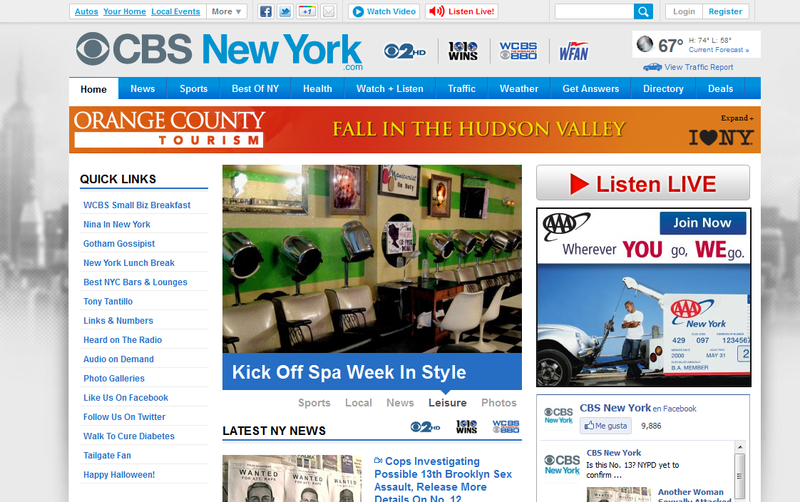 CBS New York is a local CBS division that provides current New York, national and international news, sports news, weather & traffic information and a variety of local deals and leisure information. CBS New York brings together several news media networks offering a variety of video, audio and written content from: CBS 2 (one of the largest CBS station in the country), 1010 WINS (news radio), WCBS 880 CBS (NY news radio), and WFAN (24-hours sport radio station). 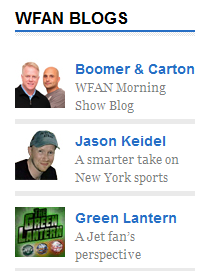 You can also listen to live radio or access to these radio/TV stations content (podcast or high quality videos). The website has cold colors (blue, grey, black) to give a serious and trusted look. The home page is structured in three columns covered with a big amount of information in each one. For that reason, the main menu is located at the top of the page showing the main content categories. This menu has also more subcategories to find out the information easily. There is also a left-side menu to go to the most popular pages or activities on the site and a map site menu at the bottom to help customers to reach the information. Pictures and videos help to make more attractive the news and break the uniformity of the headlines and this text heavy layout. CBS New York audience seems to be adults from 25-30 years old to 50 years old interested in local news and services from New York. CBS NY´s goal is to bring relevant and current information to their users to attract more eyeballs and get revenues from online advertising. At the same time, this site wants to promote their offline news media content to obtain new potential offline audiences or to maintain their loyal customers with more extra content. They have embedded their Twitter and Facebook feeds. At the same time, every new/post could be shared on Facebook, Twitter, recommended it in Google or emailed it to a friend. They have also a news blog network where users can have more subjective and personalized news posts. This website is powered by WordPress VIP (a premium service for WordPress large-scale sites). It has also Facebook, Twitter and social media sharing plug-ins, a shopping cart for their local deals, and a RSS feeds for their blogs.